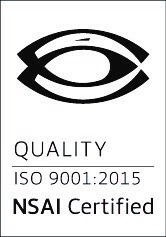 WFL are Proud to Announce ISO Certification! 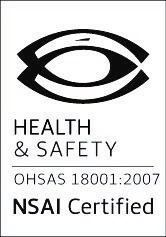 William Farrell Limited are proud to announce that we have been awarded OHSAS 18001, ISO 14001 & ISO 9001 certification. This certification shows conformance to internationally recognised standards and provides assurance to clients that our services meet their needs through effective Health & Safety, Environmental and Quality Management Systems. Our decision to work towards achieving ISO accreditation demonstrates our commitment to providing a high-quality and consistent service to our clients, our ongoing development in the construction industry and continued investment in technology, people, systems and procedures. 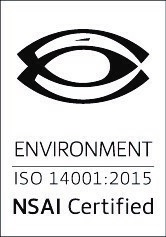 For WFL to become ISO compliant, we went through a 12 month evaluation and certification process that included Health & Safety, Environmental and Quality Management System development, implementation, review, pre-audit, initial assessment, clearance of non-conformances and final assessment for certification. WFL are delighted to have achieved recognised conformance to these standards and the certification process has been a successful demonstration of the hard work by colleagues, our desire to develop and our aim to provide the best possible service to our clients at all times.